The first day of fall around here is the day after Labor Day, no cares given that temps are still in the mid 80s, and the official date is September 22. The day after Labor Day is the first day of fall. I commemorated this glorious day by digging out harvest decor and sorting through the millions of ceramic pumpkins I have collected over the years. Dollar Tree is a ceramic pumpkin enabler. As if I didn’t already have a million ceramic pumpkins, a shiny little gold one begged to come home with me the other day. Owls. Lots of owls. Forgot how many of those I had and there are still a few boxes that are incognito. Irma threw a wrench in the game, my plan was to have the house fully decorated for fall by today. Didn’t happen. 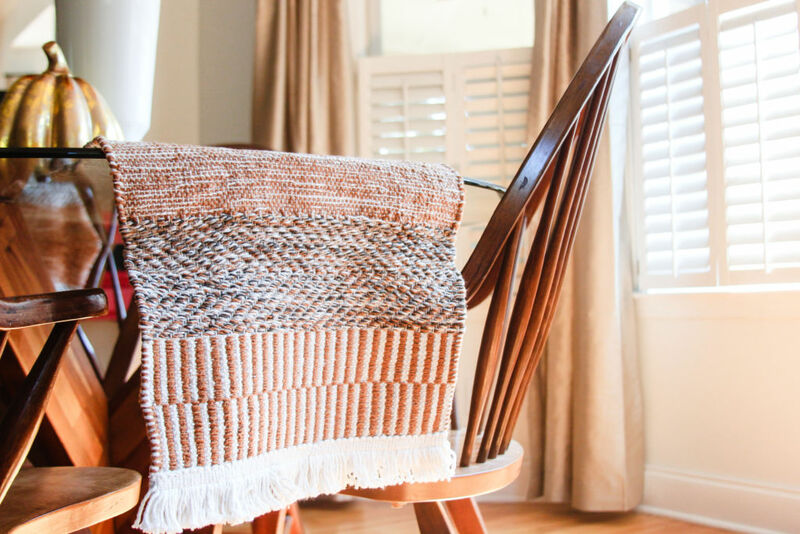 In the following week, I’ll do additional fall decor posts highlighting our living areas, along with the front and back porches. Today, I’m highlighting the kitchen. I’m sort of moving away from the farmhouse look and moving in another direction. Since I’m not quite sure what that direction is I’m keeping things minimal this year. I’m attacking my fear of color this year and integrating the red and oranges and yellows that make fall so amazing. Since my kitchen is so monochrome I decided to bring in lots of color with a large vase of fall florals. 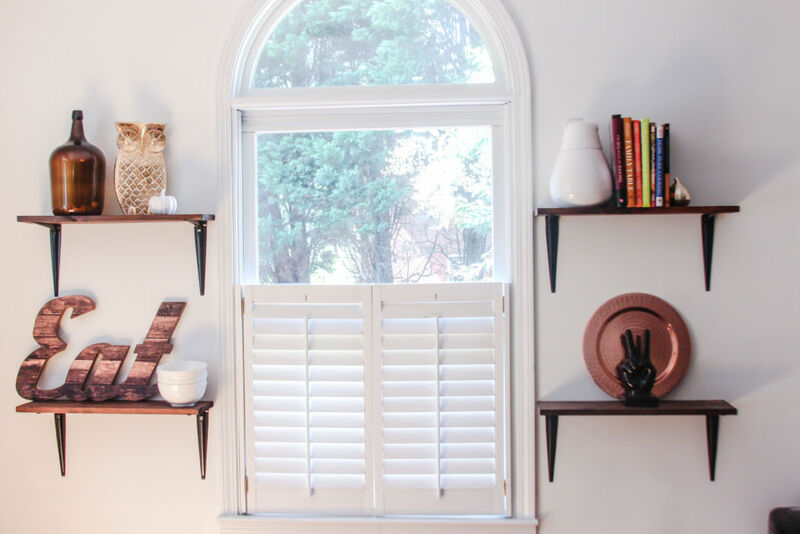 I still have yet to do the DIY tutorial on how I made these open shelves. *adds to my editorial calendar*. 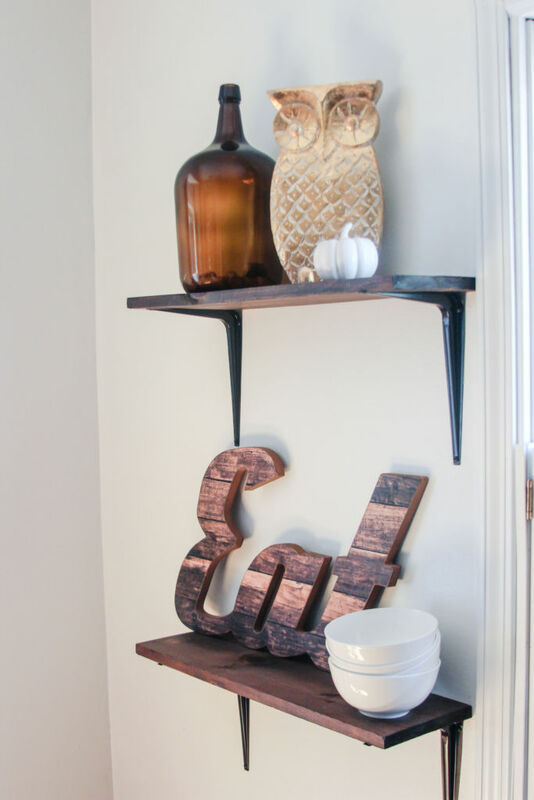 I’m really enjoying these shelves, I just added a few fall elements and moved and swapped a few things around. Irma beat up the trees in our front yard quite a bit. While cleaning up the debris, this pinecone on steroids was just sitting there in the open. Intact I might add. It has a new home, and may be getting a bath of spray paint. We’ll see. I also made use of the random scattered stray branches. Collecting these were my contribution to the yard clean up efforts. I’m on the hunt for the perfect fall printable or picture. Whenever I find it, it will live in this frame. 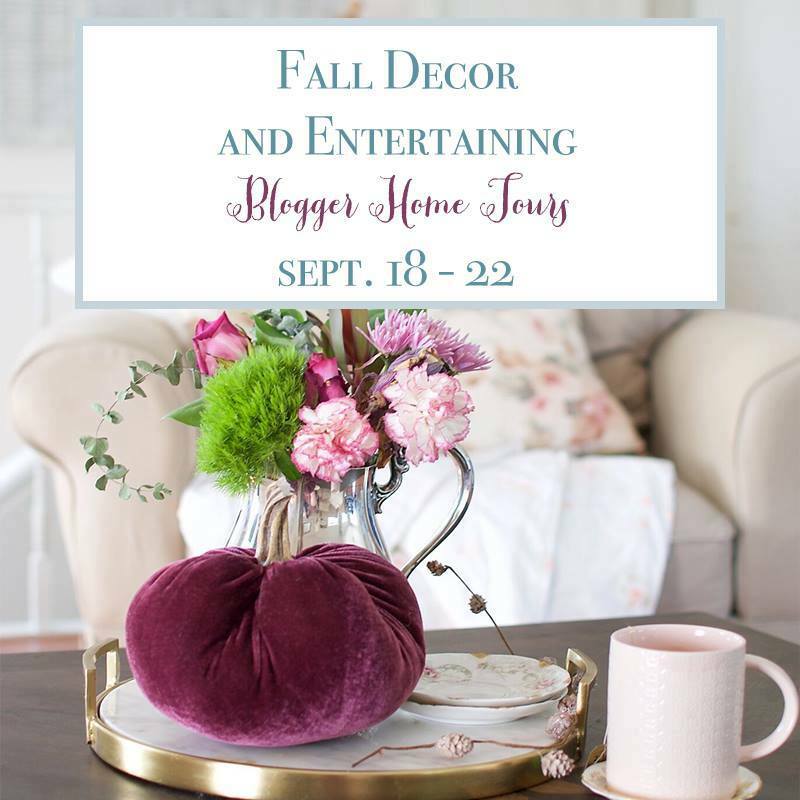 Today, I’m enjoying a little old school blog action and linking up with a few other home bloggers this week for a fall home tour. The Welch House is the next blog in line for today. 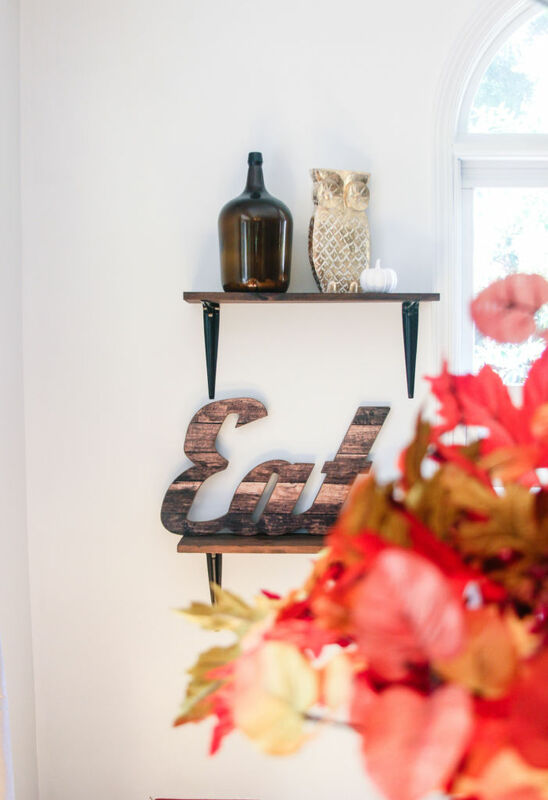 Head over to see how she’s getting her home ready for fall and be sure to follow along for the rest of the week for a little fall home decor inspiration. 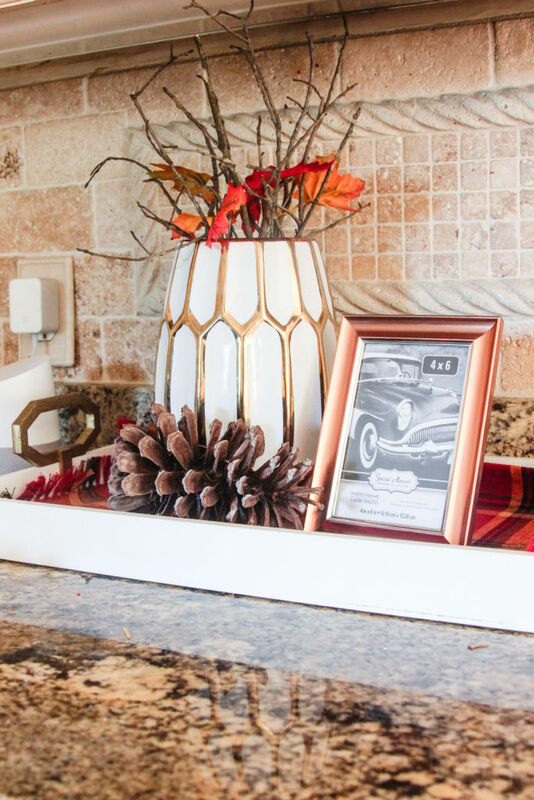 I love that you decorated with traditional fall colors in your kitchen. 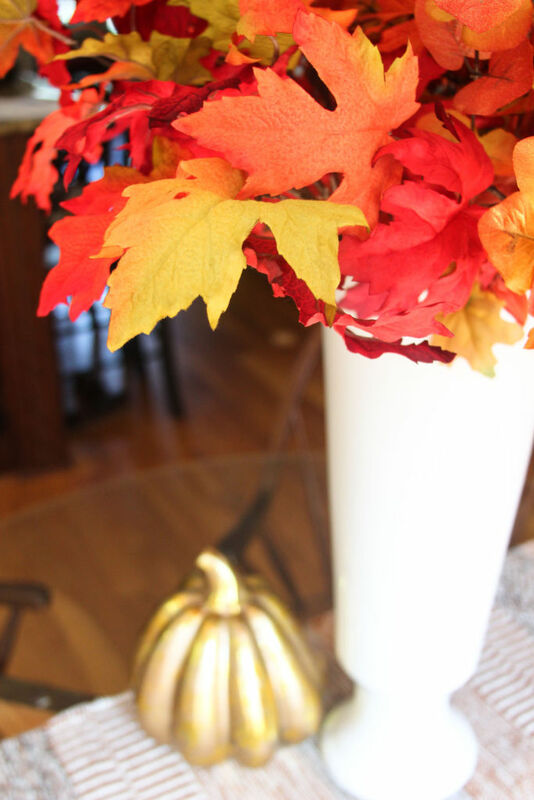 Everything looks festive and perfect for welcoming fall! GORGEOUS!! I love all of the pretty color you used! 🙂 So fun and festive for Fall! Love how you used those broken branches!!! Beautiful kitchen! How pretty!!! I love the red and gold touches in your kitchen! Happy Fall! I love decorating for fall ! Im headed out this weekend for mums and pumpkins! Your kitchen looks fabulous!! 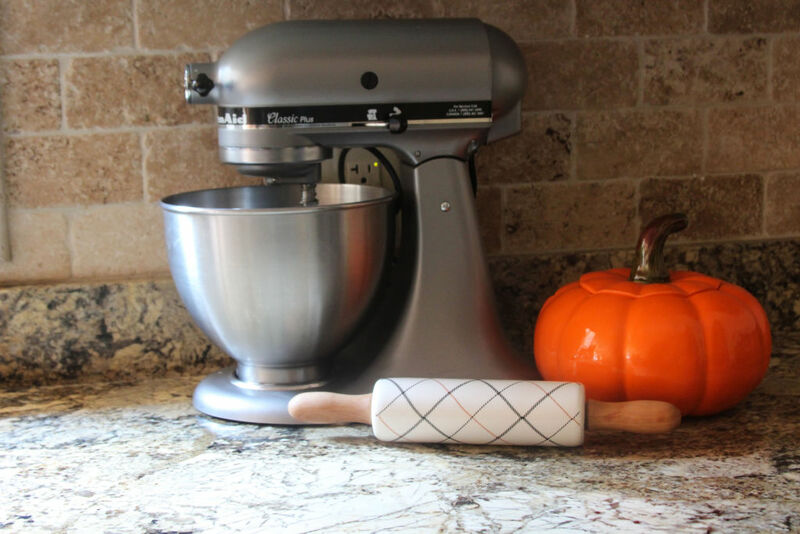 I spy a rolling pin that I am loving! I like the bright colored table too!! Happy to have you join the old school Fall blog hop!! You know I love everything as usual. Such a simple, yet festive kitchen! The centerpiece bursting with fall florals is my favorite – so bright and fun! 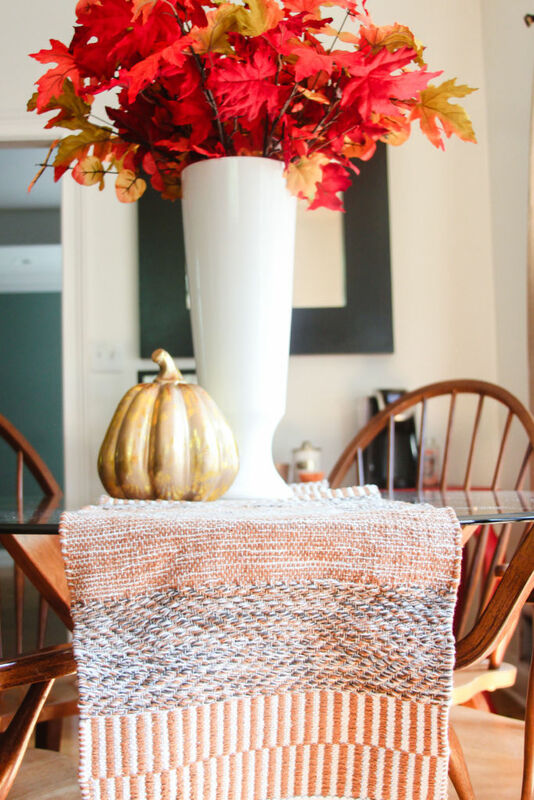 What a gorgeous space you have all decked out for Fall. I LOVE that pinecone on steroids and all the gold touches. Just beautiful. 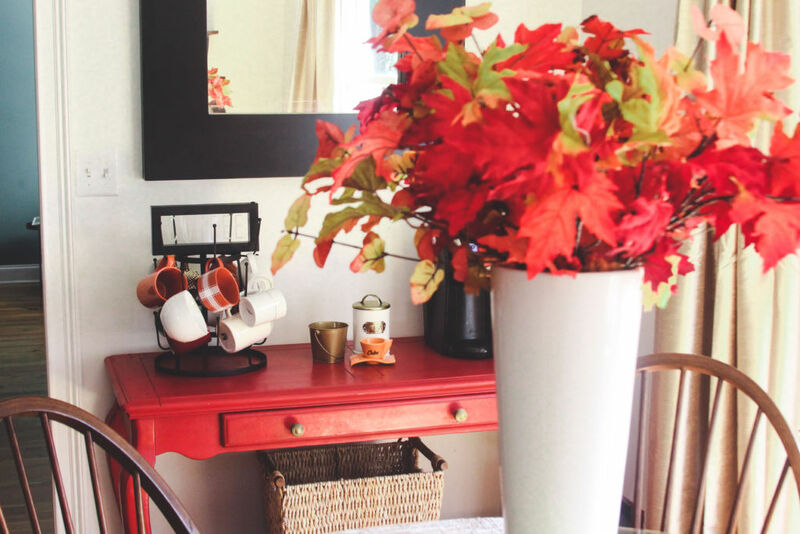 I love, love, love all the fall color you added to your home! It looks amazing! I love all the fall colour and how you decorated your kitchen. 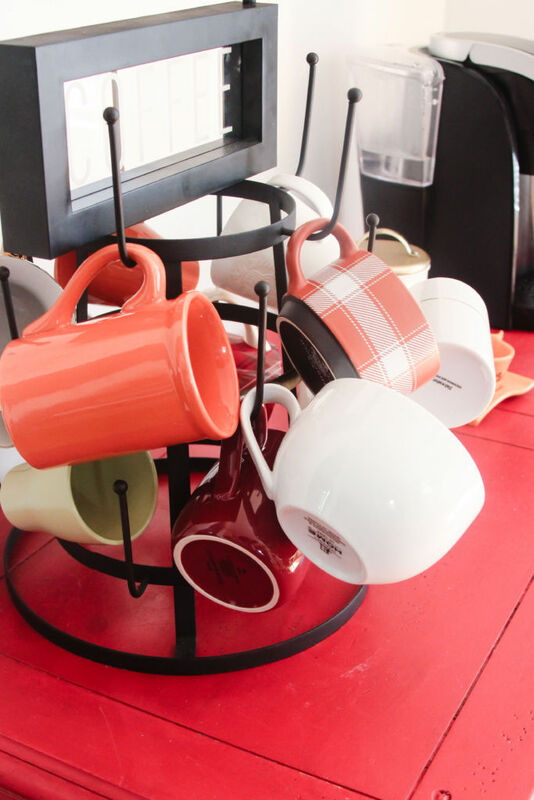 You inspired me with the separate table for a coffee station. Its beautiful and off the working kitchen counters. Thank you. 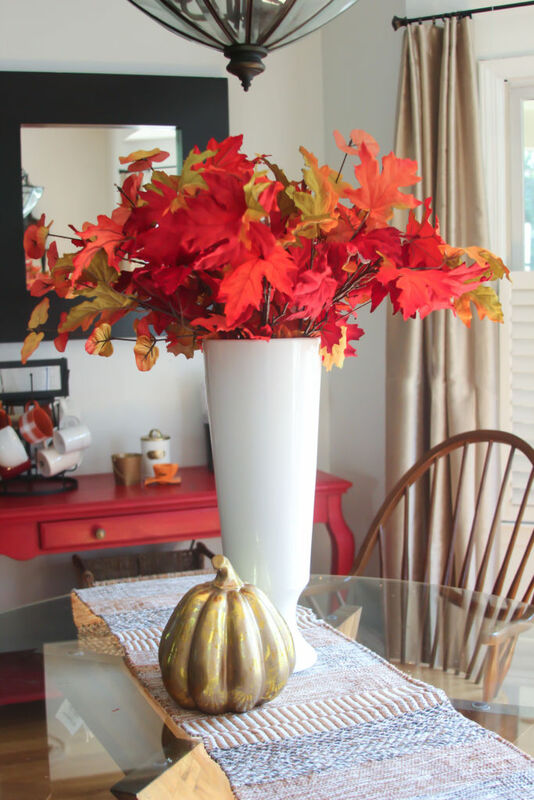 I love how the colorful leaves pop in your dining room and kitchen! So sorry you had to go through Irma…but at least you got that awesome pine cone out of the ordeal 🙂 Love the bright fall colors! I love the classic shades of fall that you used. 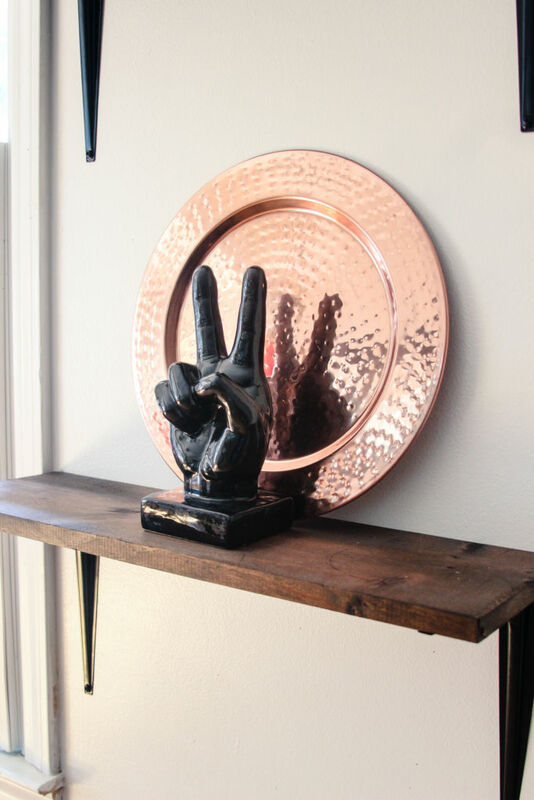 They go perfectly with your home! I am a total owl collector too, though I don’t know how that happened, lol. I have to find a place to put them all as they continue to grow. The gold pumpkin is so pretty. I enjoyed hopping with you! Your house is such a great mix of modern and farmhouse! Love the pops of color and you owl! Thank you Jeannee! That is exactly what I am going for. I’m thinking rustic glam is the style I’m going for.